January | 2011 | Don't Worry. 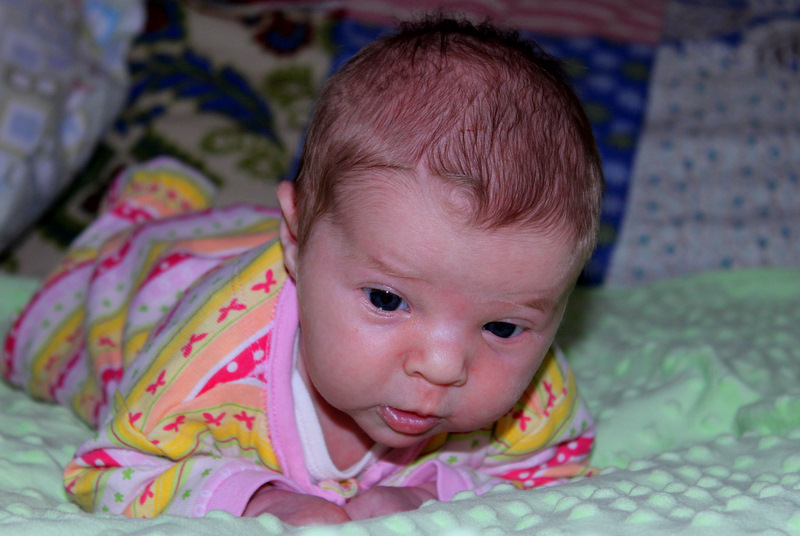 Jane turned one month old yesterday! Yes, this month has FLOWN by. She just gets cuter and cuter and sweeter and sweeter everyday. I can’t wait to see just “who” Jane is. Will she be a lot like her sister? Totally different? Absolutely sweet? A little mischievous? Funny? Serious? 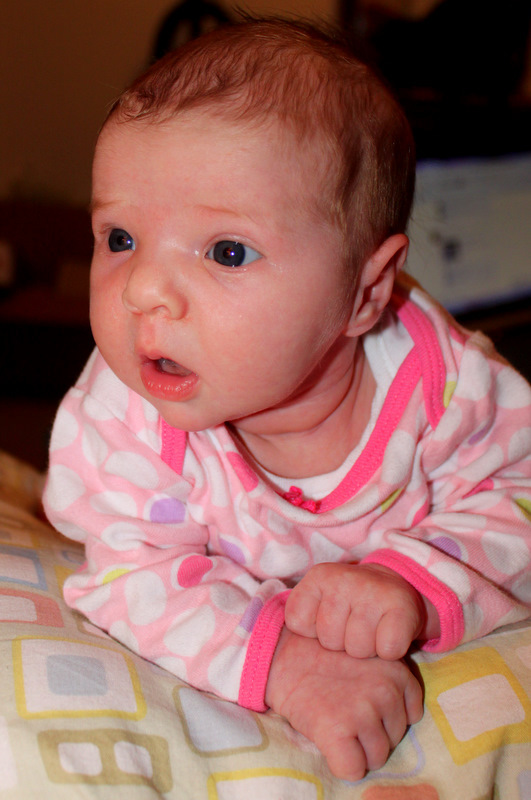 So for the first several weeks of Jane’s life, I would just stare at her: wondering where I was in her features. I couldn’t find myself: AT ALL!! Some people would agree that they didn’t see me and that she was all Adam. Others would say that she definitely looked like me. I could NOT see it. Within the last week, however, I can absolutely see me in Jane. A lot of me!!! I am glad that she does, in fact, resemble me. I think she is a good mix of both her mom and dad. Just like her sister. I am enjoying every minute of her babyhood. We all know that it goes way too fast. She sure is a wonderful baby. I’d take ten more: just like her!!! Jane is now four weeks old!! I honestly can not imagine a better baby. She is so calm and sweet. 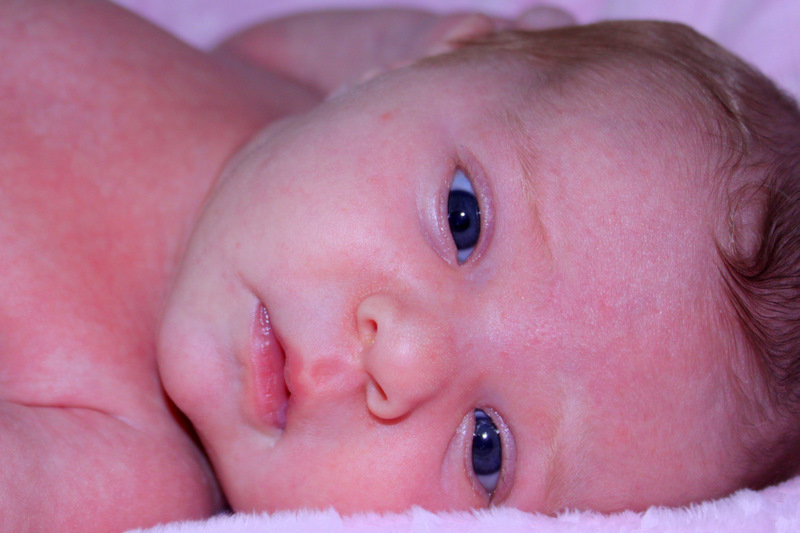 I hesitate to say that she is the perfect baby…but she is the perfect baby. She is just so easy. She eats when she is hungry, sleeps when she is tired, and spends the in between time just being cute. I can’t believe how lucky we are to have such a sweetheart. It’s pretty awesome. In three days she will be one month old. I just love watching her grow and change. She is quick to smile , and we’ve even heard her giggle several times (granted, it was always while she was sleeping, but still so fun to hear!) I am excited for the next few months as she becomes more aware and interactive. 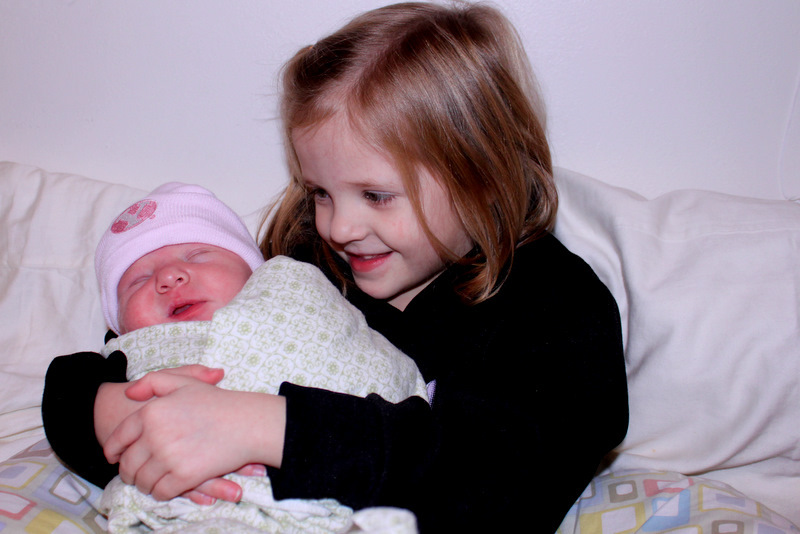 Megan is adjusting to being a big sister: absolutely wonderfully. 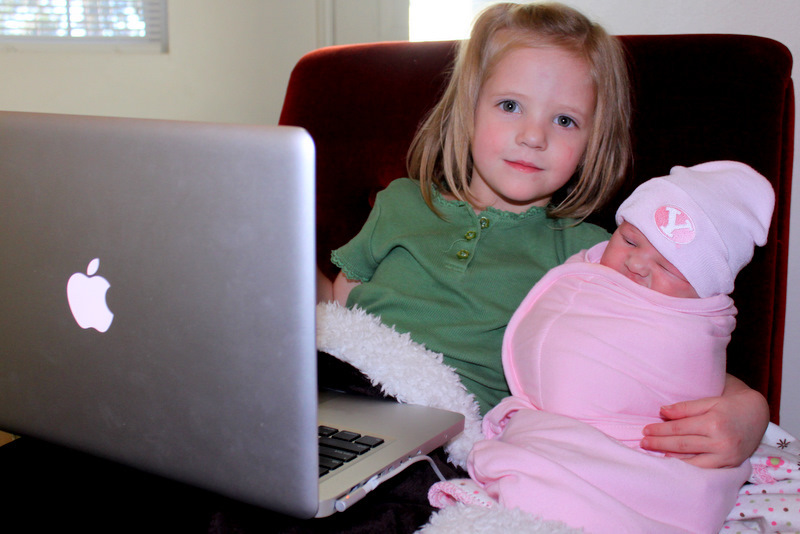 She loves her little sister, but she isn’t too attentive or overwhelming. She is obedient to mom and dad and is a big helper around the house. She makes me so proud. 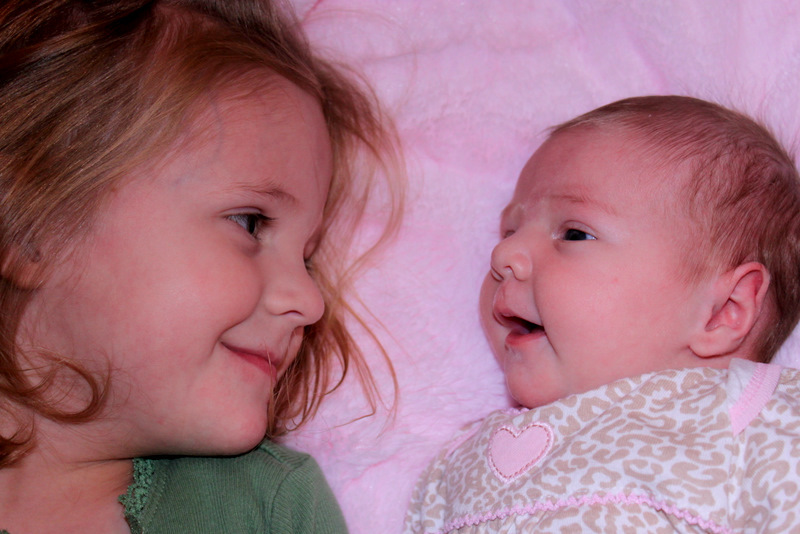 Adam and I have found that having two daughters is just as awesome as we thought it would be. We feel extremely blessed to have two such amazing children. But sometimes, late at night, Megan will find her way up to our room and the four of us will be all squished together in our bed – Megan usually on top of Adam, and Jane in the crook of my arm – and no matter how uncomfortable and cramped we may become, I still find myself wishing that there was a little two-year old boy vying for position in mom and dad’s bed. I don’t question the plan; I understand that this is for the best, but I still continue to miss my son and wish he were here. I hope that he gets to check in on his family on occasion, and I especially hope that he serves as some sort of “guardian angel” or protection for his two sweet sisters. Still, things are going great and we are happy and loving life. We just LOVE Jane!!! Hooray! 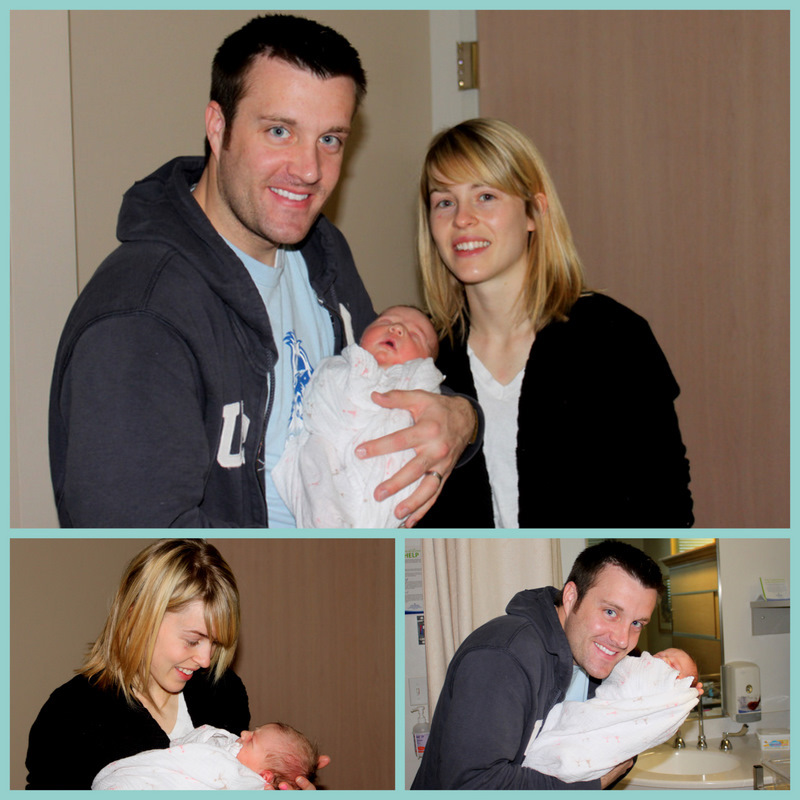 About an hour after Jane was born, they took her away to do the standard newborn tests. Adam went with her, and later he reported that the nurse mentioned several times how strong Jane’s neck was. Jane at 18 days old. Shortly after her birth, Adam and I were discussing how wonderful it was that so many of our “Jane related” prayers were answered. We prayed that I wouldn’t have to have a c-section. We prayed that she would be healthy and strong. 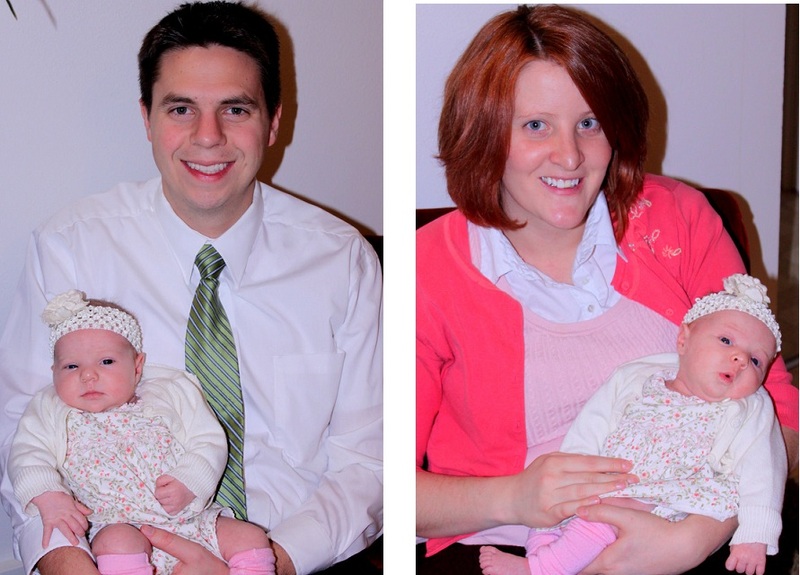 We prayed that she would be a good-sized newborn and a good eater. All of those desires (and many others) were granted us. 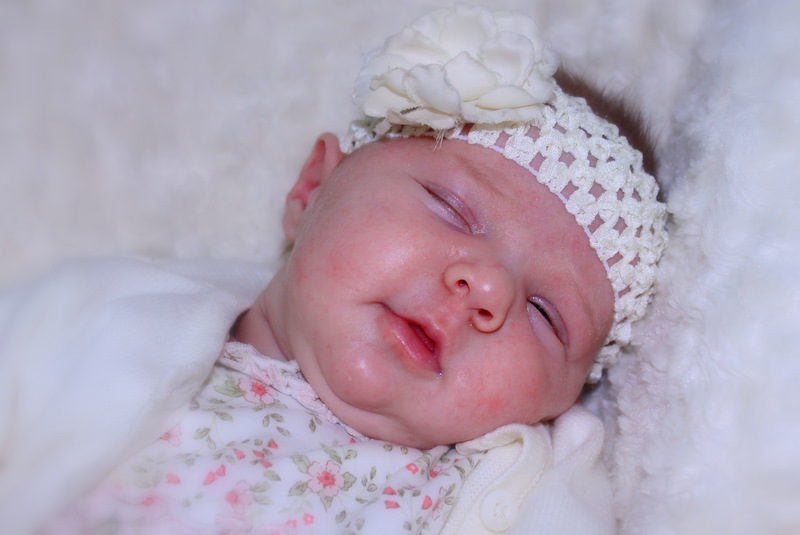 AND, we didn’t even have to pray that she would be beautiful or that she would be so peaceful and sweet or that she would be such a good sleeper, and yet we have received those blessings as well! 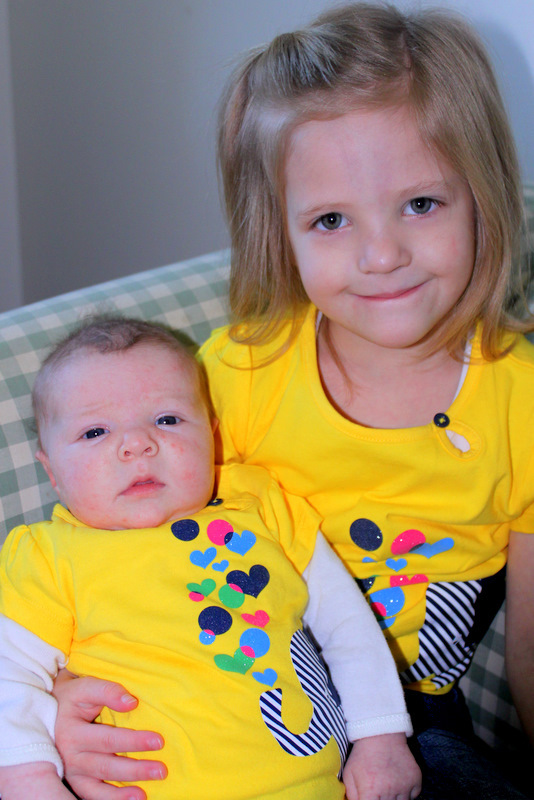 It is no surprise that little Jane, who is such a source of strength to our family, is such a strong little lady. We sure are lucky to have her in our family!! I don’t mind so much if an expectant mom (or dad) hopes for a baby of a certain gender. For example, let’s say that a mom has six boys and finds herself expecting baby number seven. I think it is fine for her to “hope” that baby seven is a girl. But, let’s say that it is revealed that baby seven is a boy. The only appropriate thing for mom and dad to do now is to be happy about boy numero siete and hope for a perfect and healthy baby. I do mind when expectant moms (or dads) are disappointed or bitter if their baby is not the gender they “hoped” for. I have felt this way for a long time. Long before I had Megan, long before I lost Jack, and…well, right up until I found out I was expecting Jane. You see, I found myself feeling very hypocritical when we discovered we were pregnant with baby number three. I hoped and prayed that the baby would be a boy, and even cried tears of disappointment at the very thought of having a girl. I convinced myself that I was having a boy, and long before any ultrasound, I was already calling him and “he” and envisioning our life with a son. I justified my mindset by believing that if anyone had the right to want one gender over the other it was me, the woman who buried her first son and so desperately wanted to raise a little boy. I wasn’t proud of the way I felt; in fact I was ashamed. I was so anxious when we went in for our ultrasound at nineteen weeks. 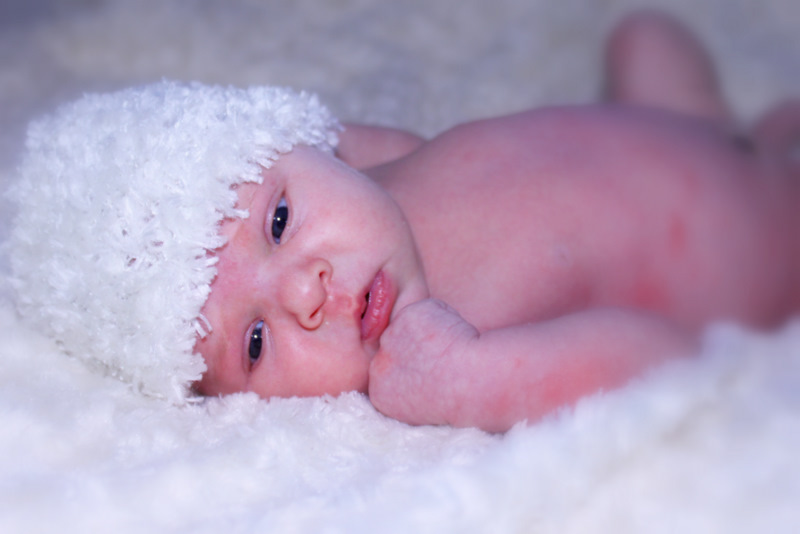 My mind begged the doctor to proclaim the baby a boy. Of course I was having a boy! I wanted one so bad! I was thrilled when our doctor did, in fact, announce that the baby was a boy. I was especially glad that I didn’t have to become the ugly person who was upset that the baby wasn’t the gender that they had hoped it was. So glad I didn’t have to become “that person”, I began to prepare for my second son. As the weeks went on, I began to realize just how silly it was to think that having another girl would upset me so. I told myself that I would have been thrilled if it was a girl; not really knowing if I was just thinking that because I now “knew” that I was having a boy or if I really felt that way. 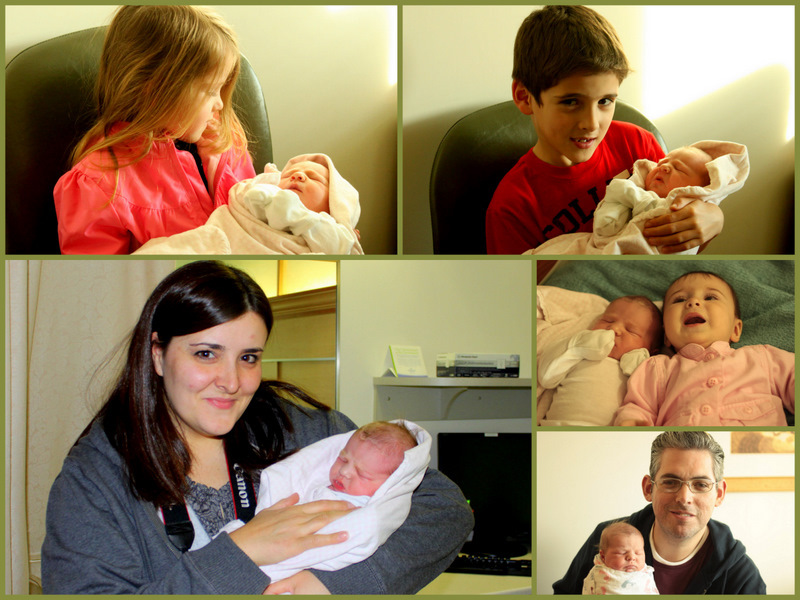 A part of me did ache for another daughter though, and I wondered if I would ever get to raise another little girl – after our boy was born, of course. I hesitate to publicly admit this, but I grieved pretty deeply when our thirty-four week ultrasound showed that our baby was, in fact, a girl. Honestly, I was very happy to be having a girl. I wasn’t the disappointed and hypocritical monster that I thought I would be, but I did grieve the baby boy that wasn’t to be. I admitted on my blog that the revelation caused me “some heartache” but not even Adam saw the true depths of my sorrow. He wasn’t home the day I once again had to pack up all the baby boy things. He didn’t see the tears I shed as little Jack’s items were once again packed away…unused. He wasn’t even there the day I decided to take down the little boy nursery and replace it will all things girl. For weeks after the ultrasound, I had many private meltdowns. How badly I had wanted to raise a little boy, and once again I wasn’t going to. I was devastated. I am not afraid to admit this now, because the moment they placed Jane in my arms, all thoughts and hopes and longings for that little boy were gone. Jane is now two weeks old. 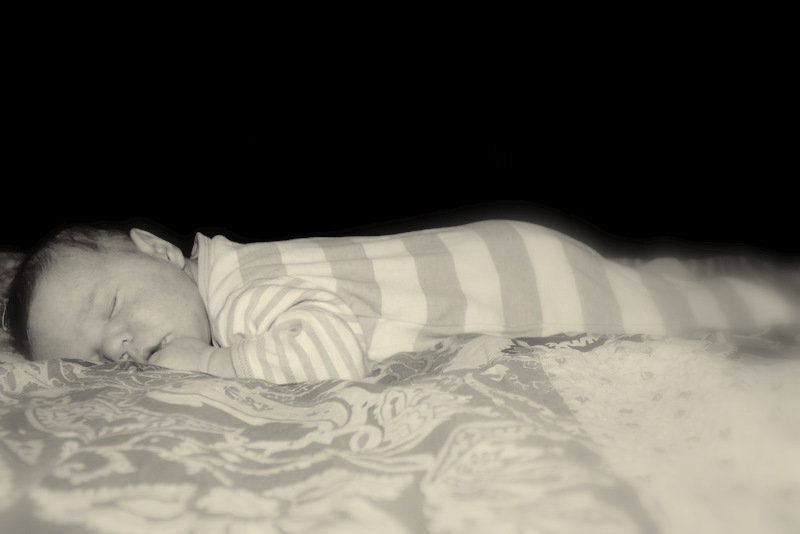 I can not imagine a sweeter, calmer, more peaceful baby. She is an absolute joy. She brings me so much happiness. More than I ever thought possible. I truly believed that only another little boy could heal my sorrow. But Jane has come into my life and wrapped her arms around my heart in a way that I never expected. Only now do I fully realize how unimportant the baby’s gender is. I am not sure why I have been entrusted with so sweet a gift, but Jane reminds me each and every day that God loves me and He wants me to be happy. I thought that only a little boy would make me happy. I am so glad that He knew better and gave me my little girl. 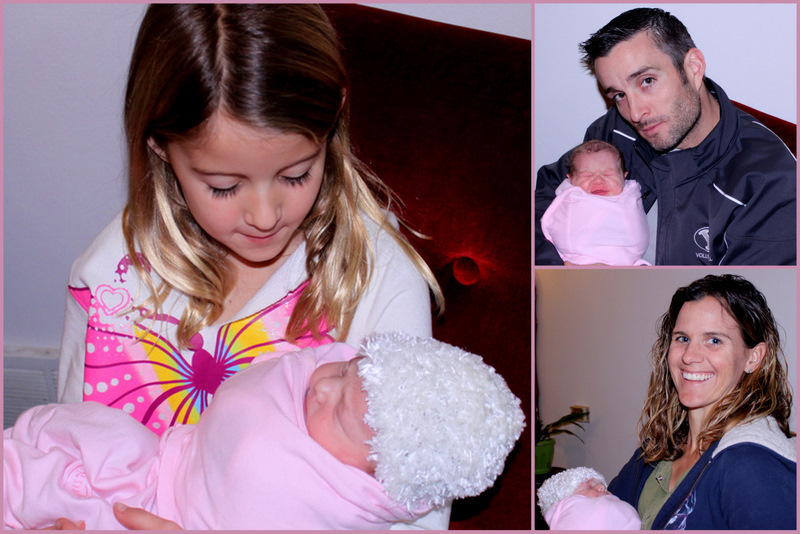 One benefit of having a baby during the holiday season was that so many family members were able to meet her when she was still just a teeny tiny newborn. 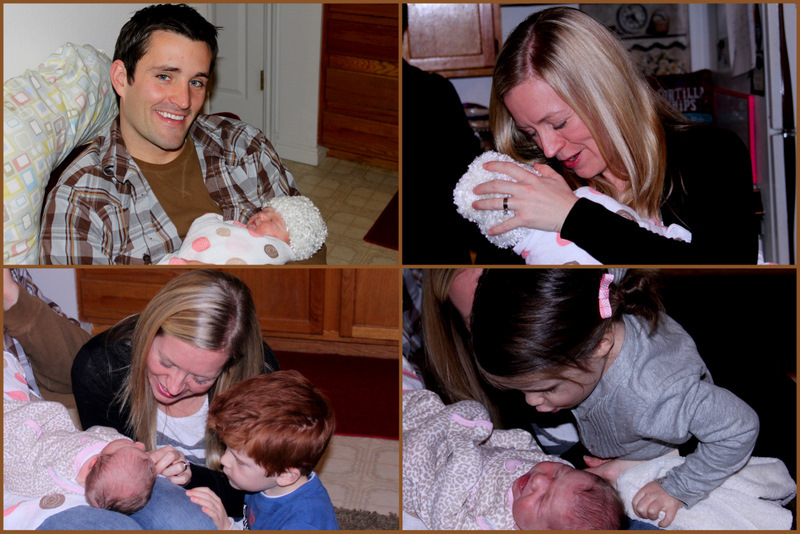 Already Jane has met almost all of her Marshall cousins and aunts and uncles. 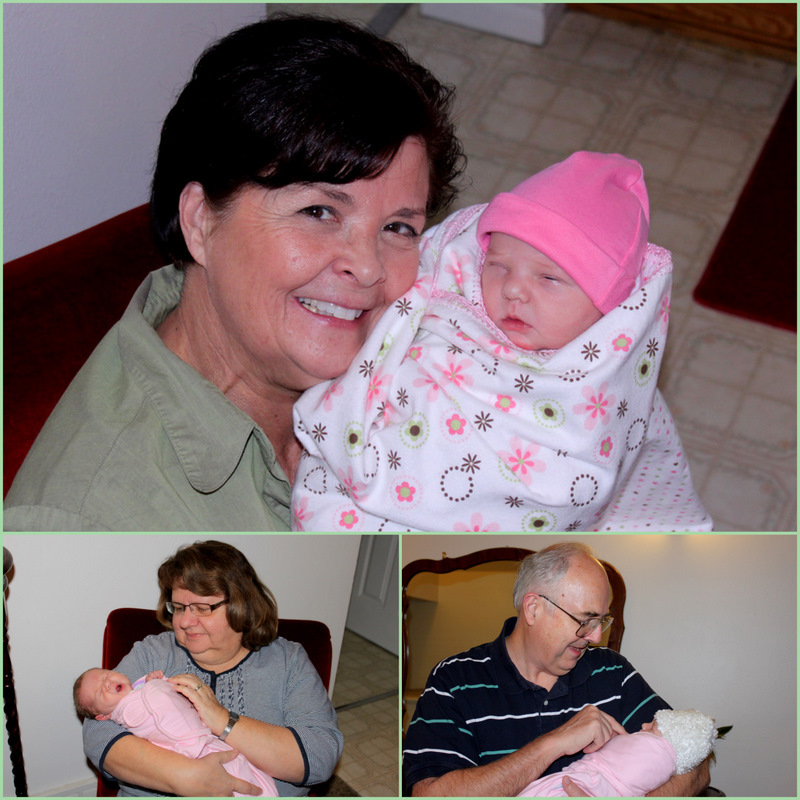 My mom and both of her Johanson Grandparents also met Jane within her first few days of life. It’s so fun that five of my six siblings have already met Jane. We’re also so glad she was able to meet her Johanson grandparents and look forward to when she gets to meet the rest of the Johanson crew. Jane was born into such a wonderful family. She really is a luck gal! 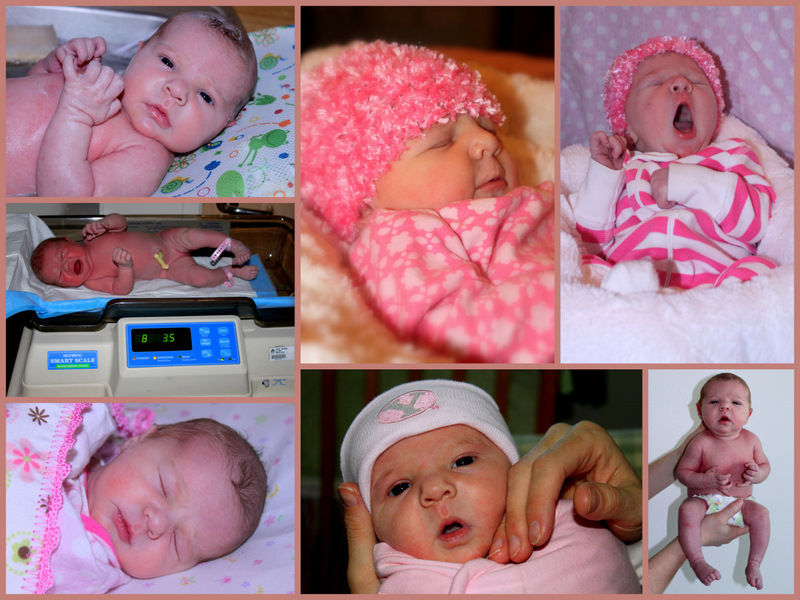 Jane turned one week old yesterday. 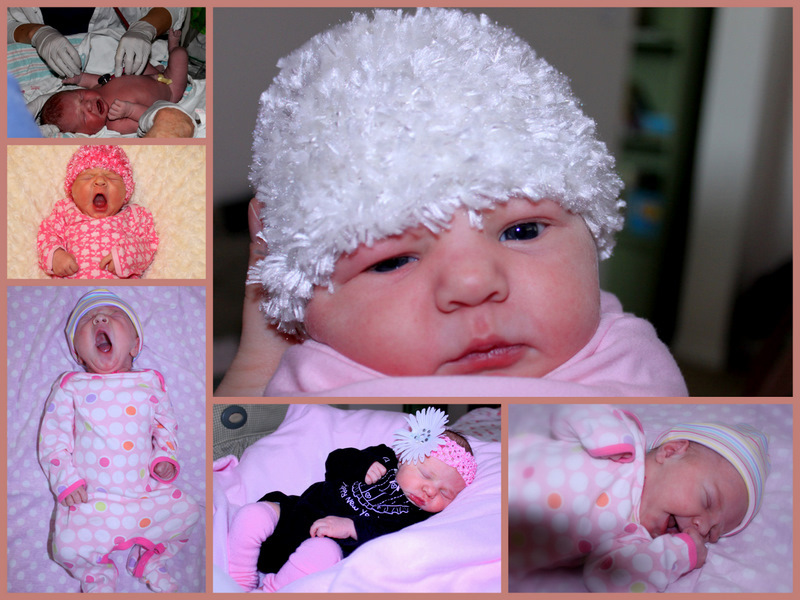 Enjoy some pictures from her first week of life! Things continue to go really well around here. Jane is calm and sweet. She gets cuter and cuter each and every day. We just love having her in our family. We couldn’t imagine life without her! So, since about April, Megan has loved to sit at the computer and write “stories”. Sometimes she will type them out herself, and sometimes she will request that mom or dad type them out while she dictates them. Sometimes the stories make sense, sometimes I have no idea what she’s talking about. Lately she has written some pretty hilarious stories. The other day I flipped open the laptop and found that Microsoft Word was open and Megan had written a new story. It was a funny one and I was laughing so hard. This morning, as Adam and Megan headed out the door to church, Adam told me that Megan wrote a new story that I should read. It was different than most stories she has written. I have been thinking about writing a post about Megan’s stories for a while now, so I thought this one was a good one to share. Megan’s stories usually contain a lot of dialogue between the characters. I think this is the first story that she has written that had NO dialogue. Anyway, here is an example of “Megan’s Stories”. She always includes a main title and a subtitle. Megan was 2 years old when Jack was born and he got his body all white. His arms got red his thumbs come from baby girl and he closes all Megan’s cousins. Then they came to baby Jack. Then he smashed. He crashed. Then they all got to come to his bed for the baby. 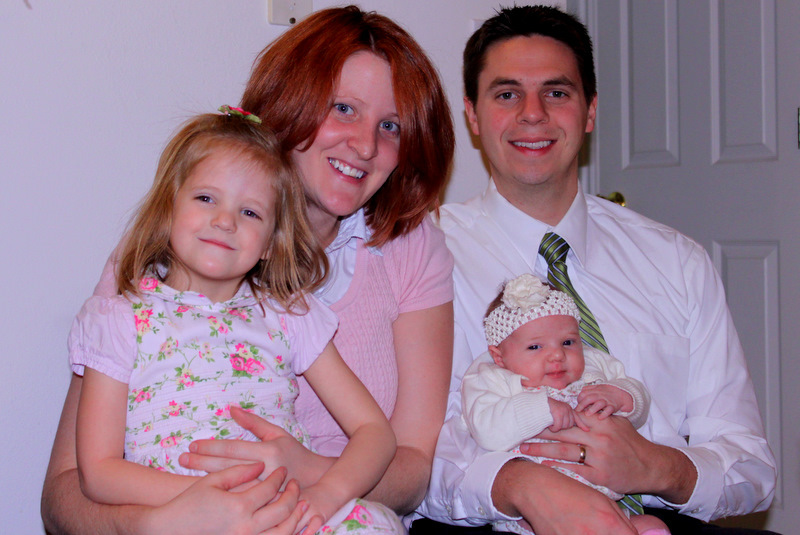 Once, when Megan turned three, she went with her mommy and daddy to the hospital. Then she turned four and it was the 28th. 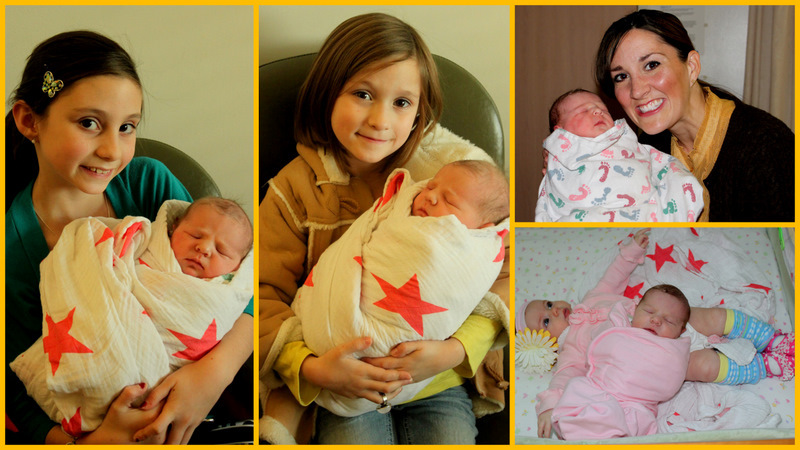 Mommy and Daddy went to the hospital and Betsy and Kristen stayed with Megan. One day Megan went to McDonalds. Then they went to the hospital again. Then I got home and Jane did too. I love how this story gives a little insight into Megan’s perception of what is going on. She is such a sweet and sensitive girl.